My One-Year Anniversary badge from WordPress got me thinking about what inspired me to start blogging in the first place and what I’ve gained from this whole experience. 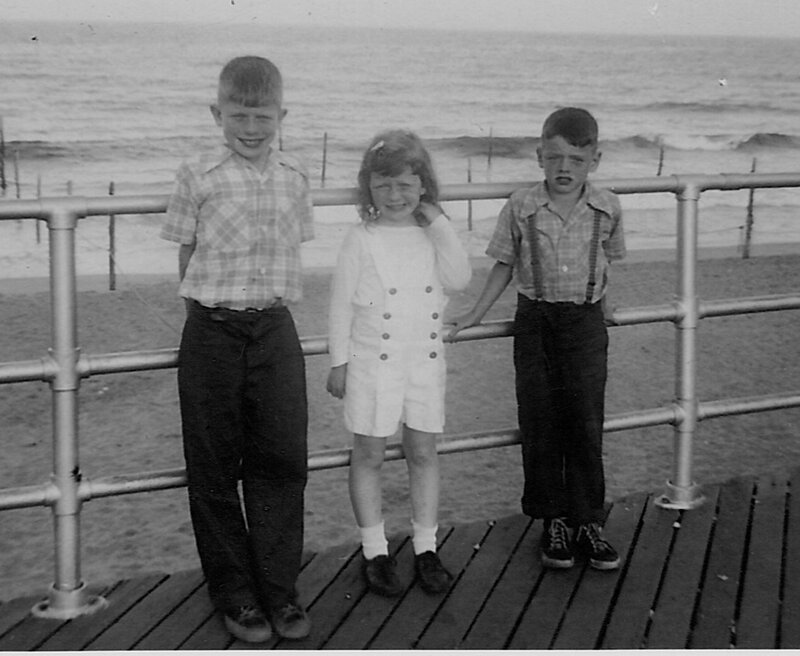 Me in the Middle was the beginning of my sharing my life story with family and a way for me to write about things I needed to let go of so that I could move forward in my life. It was my hope that through sharing my journey I might encourage others and pass on lessons learned. It turns out that, in one year’s time, I’ve been able to do that and so much more. At first I found other bloggers who met that need for support through experiences of abuse, trauma and PTSD . Bloggers who encouraged and supported each other in a positive way. Then my enthusiasm for blogging grew and I began to open up my focus to many different topics and directions. The WordPress Team and Community inspired me and helped me with any questions I had. Soon I was connected to a wonderful group of blogger friends that have moved me well beyond the need that had initially brought me here last year. I found that ‘Letting Go’ is an on-going process of being mindful of when we’re allowing our thoughts and emotions from flashbacks of the past to disrupt the wonderful experiences of the present. 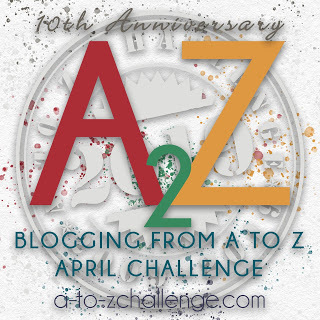 One of the major influences in making this transition was the A to Z Challenge 2016. I used it as a way to bring together all the lessons learned through my life. It was a real purging and letting go of the past. So, what a difference a year makes! When I first created my website I posted an Invitation to Guest Bloggers. I wanted to open the door for others to share in their surviving and thriving stories. I re-posted the invitation again in May and the response was wonderful! Take a look ~ Here ~. I’d love to hear your Me in the Middle story. So, for FlashBack Friday I decided to post one of my first post at the very beginning that started me off through this great year of blogging. Thanks to everyone for being a part of it! It’s FlashBack Friday~ A time of the month where you can republish an old post of your that maybe didn’t get enough attention, or that you’re really proud of, or you think is still relevant etc. This Blog-Go-Round is hosted by MICHAEL G D’AGOSTINO from A LIFE EXAMINED–That’s where you’ll find the rest of the participants or to join up yourself. The post I’ve chosen for this month first appeared on ME IN THE MIDDLE on September 27th, 2015. To see the original comments to that post you can click on the title below to be taken to the original post. I chose this post because it was one year ago that I created my WordPress Website and this post is one of the first I published. I believe it’s relevant because it shows where I was back then in September 2015 at the very beginning of my blogging experience and just how much blogging has helped me to let go and move on in life. I found Two Poems I’d written ~ in those first years ~ when I was coming to terms with the reality that the person who I thought was there for me was never really there. I was learning to stand on my own and to find ways to push through all the walls that were coming down. I was learning to believe in the possibilities that might be opening up for me. It took every ounce of creative effort and courage that I could muster. Writing poems during those first years was a way of finding expression for what I wasn’t able to make sense of while I was experiencing it. When I reread them from a different place, a more improved view, I saw how important these exercises were. They were stepping stones to carry me through that time to a new and better place in my life. A life that keeps moving forward with Hope while wrestling with Life’s paradoxes. Destroying trust and mutual support. Now document seals our parting means. Allowing forgiveness and peace of mind? Sun shines on evil as well as good. Choose Life ~ that my future may live!